"It is with great pride that I welcome you to the first of two special issues of Connections this year dedicated to celebrating the 10th anniversary of PHA Canada. Before gazing ahead to the horizon of pulmonary hypertension (PH) in our fall issue, we will first take time to remember and acknowledge the many milestones we have reached over the past ten years. We have come a long way in bringing together those affected by PH in Canada, thanks to your support and commitment. And it fills my heart with joy to see how together we are empowering Canadians affected by this terrible disease more than ever before. First, it is important to remember that the history of PH in Canada started much earlier than just 10 years ago with the founding of PHA Canada. The World Health Organization (WHO) first categorized the types of PH in 1973, and most recently again this past February in Nice. The first dedicated expert PH clinic to open in Canada wasn’t until 1986, in Montreal (QC), and while it was groundbreaking for a specialty clinic to offer medical care to those living with PH, the reality for those diagnosed back then was a difficult one. This was of course in large part due to the minimal treatment options that were available, which meant poorer quality of life and shorter life expectancy. However, a significant part of the challenge was also how lonely it was living with such a rare and unknown illness. Finding others going through the same thing could be next to impossible. This was also true for families, including many who lost a loved one to something they never even had a chance to understand. And so, in the 1990s, patients and their families started reaching out to one another for support, taking the first steps towards creating a “PH community” in Canada. It is here that the story of PHA Canada begins to take shape. In the years to follow, PH groups emerged in different areas of the country. While initially most were focused on providing peer support to local patients and their families, Ontarian lawyer Leon Paroian created the Pulmonary Hypertension Society of Canada (PHSC) in 1999 with the mandate of funding research in the hope of finding a cure. By 2006, leaders in the PH community had identified the need for a broader national organization, one that would unite the thousands of Canadians affected by PH and work to improve their lives through support, education, advocacy, and awareness, in addition to research. In 2008, the Board of Directors of PHSC resigned, making way for a new Board of elected representatives from across Canada, and the organization was renamed the Pulmonary Hypertension Association of Canada (PHA Canada). PHA Canada’s first Board of Directors included: Lynda Beriault (QC), Jennifer Gendron (NB), Elizabeth McCall (BC), Sharon Proudfoot (AB), and myself, Darren Bell, (BC). Very soon after, two medical advisors also joined the Board: Dr. Sanjay Mehta, Director of the Southwest Ontario PH Clinic in London, and Carol Storseth, registered nurse at the PH clinic at Vancouver General Hospital. These leaders – representing patients, caregivers, and health care providers – brought Canada’s PH community together, uniting us in a common vision of a better life for all Canadians affected by PH. In the following pages, you will learn more about some of the many accomplishments we have achieved as a PH community over the past ten years: expanding support and education resources, raising public awareness, educating health care providers and decision makers, funding research scholarships, and more. I remember writing the opening letter for the first issue of Connections back in 2010. In it, I wrote that “the path taken by all those affected by PH has, until now, been an individual stream, flowing on its own. And now, all those streams have merged into one powerful rapidly flowing river; all the parts have joined to make one strong whole”. These words resonate with me as much today as they did then. I am pleased to see that our PHamily is more united now than ever before. Our collective ability to provide timely support and credible information to newly diagnosed patients in Canada reminds me of how powerful we are when we work together. It is fitting then, that as we celebrate our many accomplishments, we focus on perhaps the most important one of all: “A United PH Community”." The Pulmonary Hypertension Society of Canada (PHSC), was founded in 1999 by Ontario lawyer Leon Paroian, a few years after his daughter Sherri Lynn Oliver was diagnosed with pulmonary hypertension (PH). In 2006, provincial PH organizations began discussing the need for a strong, unified presence at the national level. A pivotal meeting in Vancouver in 2007 set out a framework for a renewed national organization. With Leon suffering through illness of his own, he agreed that new leadership was necessary in order for the dream of a strong national organization to become a reality. On April 1, 2008 the PHSC Board of Directors, including Leon, resigned their posts and a new Board with representation from across Canada was elected. The Board elected Darren Bell the new Chair and moved the organization’s headquarters to Vancouver, BC. Taking the lead from the network of national PH associations around the world, PHSC was renamed the Pulmonary Hypertension Association of Canada (PHA Canada). Like other PH associations around the world, PHA Canada set a course to work collaboratively with patients, caregivers, families, and medical professionals to create a better life for all those affected by PH. PHA Canada’s contribution to the rare disease community was immediate. In May 2008, Darren Bell’s father, Don Bell, who was Member of Parliament for North Vancouver, introduced a private members motion (M426) in the House of Commons in support of PH and other rare disorders. The motion called on the government to “respond specifically to the challenges faced by Canadians with rare diseases and disorders” and received the support of all parties except the Bloc Quebecois, which cited a need for special recognition for Quebec. Spearheaded by the Canadian Organization of Rare Disorders (CORD), an umbrella organization in which PHA Canada remains a member today, the motion led to the development of a Canadian Rare Disease Strategy, which CORD officially unveiled in 2015. PHA Canada continues to advocate for the needs of PH patients, with emphasis on the funding of PH therapies. An early victory took place in the province of Ontario, where Ministry of Health policies concerning the funding of PH treatments were threatening the lives of patients by proposing the implementation of a “stepped approach” to therapy. Today, PHA Canada engages with provincial Health Ministries on issues concerning access to the best available PH treatments, including ensuring that the needs of patients and caregivers are considered during the assessment of new therapies. Supported by staff and volunteers, PHA Canada’s members are encouraged to become actively involved in advocating for better outcomes for PH patients and their families. PHA Canada’s network has grown with each passing year. Through four National Conferences and ongoing support for Chapters, local support groups, and regional events, PHA Canada is bringing people together to improve the lives of everyone affected by PH. PHA Canada is also raising public awareness of the disease through media campaigns and support for community-based events and activities. For instance, in 2014, PHA Canada launched a campaign to educate GPs and other doctors on the signs and symptoms of PH in order to encourage earlier diagnosis and treatment. In the midst of providing a range of support, education, advocacy, and awareness programs, PHA Canada never forgot the importance of funding PH research. In 2015, thanks to an initial donation by the Paroian family, PHA Canada initiated a research scholarship fund to support research trainees in Canada to actively pursue research concerning pulmonary hypertension. In 2016, in honour of the Paroian’s dedication to PH research, two $10,000 Paroian Family PHA Canada PH Research Scholarships were awarded to young researchers in Ontario and Quebec. With fundraising efforts in support of research continuing in communities throughout the country, PHA Canada looks forward to awarding new scholarships in 2017 and beyond. PHA Canada is committed to working on behalf of and alongside all Canadians affected by pulmonary hypertension, and is proud of the role it plays in bringing people together to be part of the fight against PH. 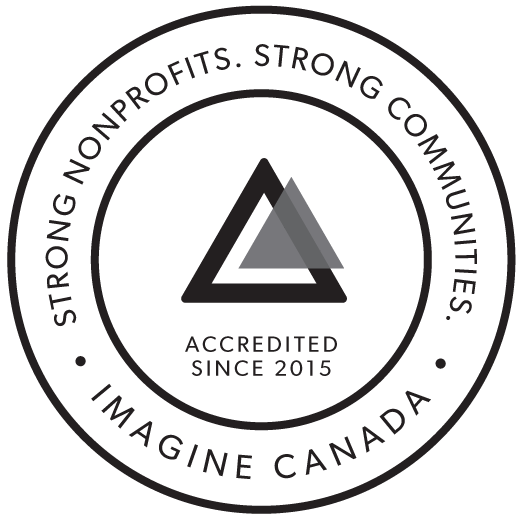 True to the vision of its founders in 2008, PHA Canada strives to represent and engage those affected by PH in every corner of the country, so that no matter where they live, they can receive the support they need right in their own backyard.